Enjoy Label Creating with Canada POST, FedEx and Canpar. 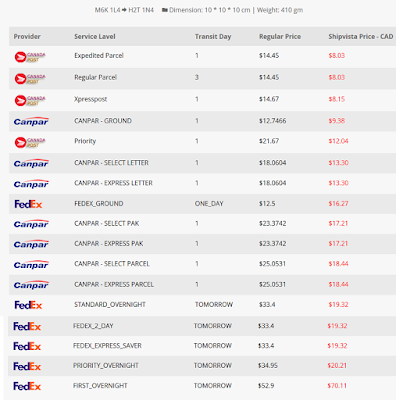 Now user can create Shipping Label Using Canada POST, FedEx and Canpar. Select option and Print your Shipping label. 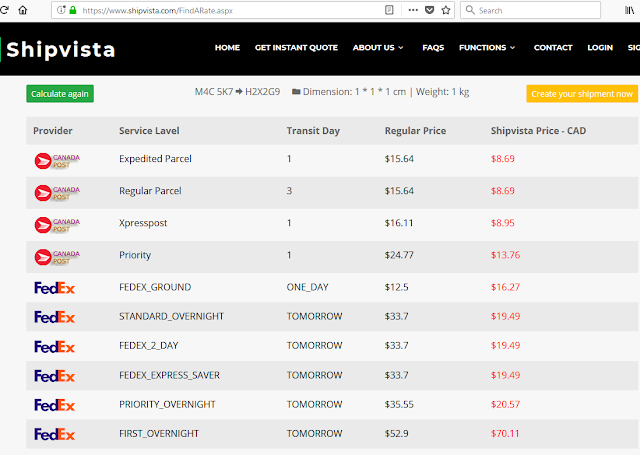 Cheapest shipping rates, best shipping rates, Canpar shipment, Canada post. Enjoy Label Creating with Canada POST And FedEx. 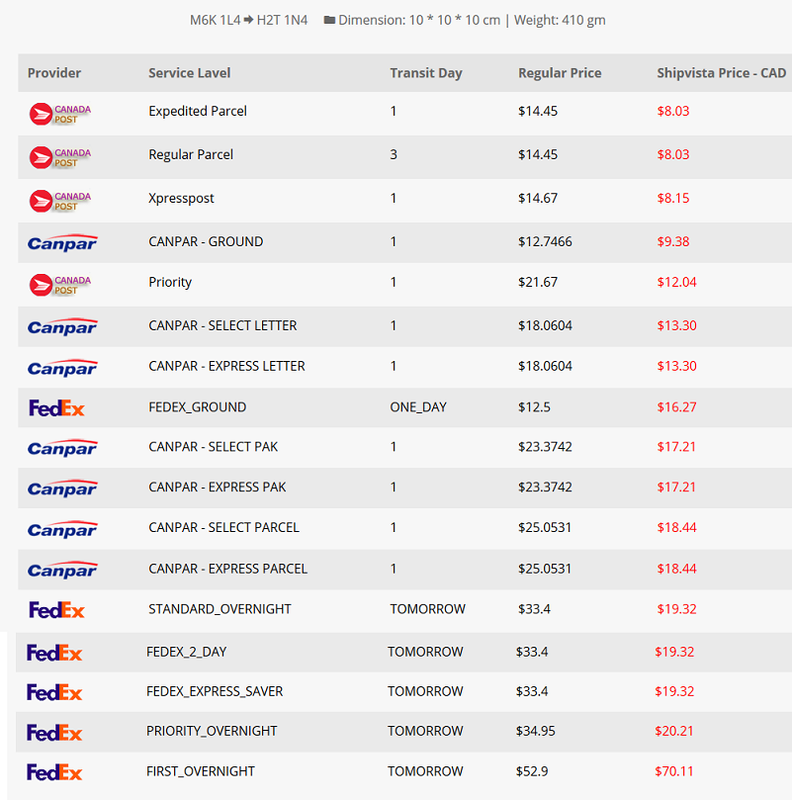 Now user can create Shipping Label Using Canada POST And FedEx. What's Affiliate Program?Earn money without having to actually sell anything! You don't even need a website! Earning money is so easy with our affiliate program, promote Shipvista services on your website, blog, social media or any online location and receive commission on deposit you successfully refer. To create a shipment enter a new address or search your address autocomplete address book will suggest correct address. then simply fill in the details for your shipment and delivery instructions. Once you have selected the best options for your shipment, print your documents and schedule a pick up for your package - your shipment will be picked up by the courier you selected for your shipment. Once your package is ready for shipment you can easily schedule a pickup. No matter how many packages or service levels you select you are only 2 clicks away from scheduling a pickup. And your package will be picked up by the carrier that you've chosen for delivery. Tracking your package is as easy as logging in to your Shipvista account. Or home page Your delivery status, date and and package loaction will be shown. New Customers get 100% Deposit bonus to create Shipping Label. Open an account, make a deposit of $10* or more and you will be entitled to a 100% bonus on your qualifying deposit up to a maximum of $200*. Make a qualifying deposit of $10* or more to qualify for a 100% matched amount as a bonus to ship with. Your qualifying deposit is your largest deposit (capped at $200*) placed in the 7 days prior to you claiming your offer. The maximum bonus that can be claimed is $200*. For the avoidance of doubt, if your qualifying deposit is $200* or more then you will qualify for a bonus of $200*. To use with your bonus, claim your offer, then turn over the amount of your qualifying deposit (capped at $200*). You must have settled deposit to the value of three times your qualifying deposit (capped at $200*). You have only one bonus. 2018 © Copyright Shipvista. All Rights Reserved. Powered by Blogger.